The Portland Trail Blazers beat the Los Angeles Lakers 128-119 in LeBron James' Lakers debut on Thursday night, much to the delight of a raucous Portland crowd. PORTLAND, Ore. - LeBron James opened with two thunderous dunks and had 26 points and 12 rebounds in his first game with the Los Angeles Lakers, but the Portland Trail Blazers prevailed 128-119 Thursday night in the season opener for both teams. 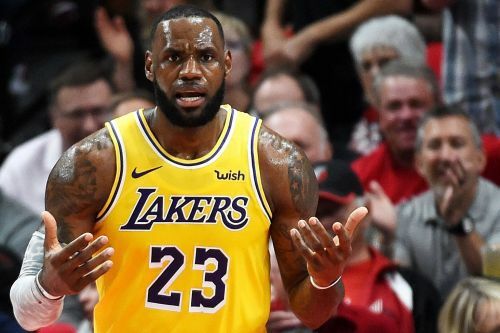 LeBron James scored 26 in his purple-and-gold debut but it wasn't enough as the Lakers fell to the Trail Blazers 128-119 in Portland.